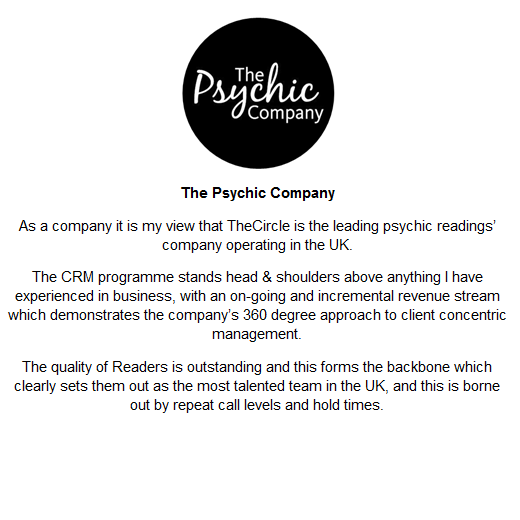 TheCircle works with a variety of media and esoteric brands providing Live Psychic readings via SMS, premium rate and credit card lines along with Horoscope services. As a partner of TheCircle you can expect the same industry leading quality services and support as our current partners through our proactive management approach. Whether you are a large media organization or an independent esoteric provider, TheCircle's bespoke handling of your requirements will ensure you maximize revenue potentials. Whether a customer interacts with us through TheCircle or via a partner brand, all are given the same high level of service. This ensures a seamless, first class experience. helped you to grow your own business? 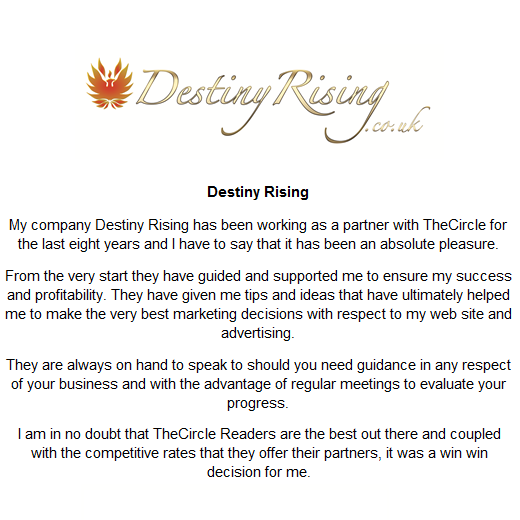 We’ll provide you with more information on how you could become a partner with TheCircle, the UK's Number 1 esoteric brand, to grow your business. Alternatively if you are unable to email us, please find our full contact information here.